Vehicle mounted infrared video cameras are often used by security companies, police departments, and industries’ safety and security departments that need to monitor very large areas. They are an excellent choice for monitoring vehicle payloads such as hazardous materials. Most of these cameras can provide both high quality color video when there is available visible light and in total darkness if needed, using infrared spectrum technology. There are basically two different types of vehicle mounted infrared video cameras that are utilized for security and monitoring purposes. These cameras can be categorized by the type of infrared radiation that they monitor. Without getting too technical and describing each of the different types in detail, digital video cameras are normally either sensitive to the near infrared or the long and mid wavelength infrared types. Near infrared cameras are the least expensive and probably the most common, while long wavelength infrared cameras are the most expensive and are not as common. Long/mid wavelength vehicle mounted infrared video cameras produce true thermal images. That is, these cameras are able to sense the type of infrared radiation emitted by all objects and produce a passive image based on the objects’ infrared radiation, without the need for any external light source including infrared illuminators. While the images produced by these cameras are distinguishable and somewhat clear, they do not produce a high quality, high resolution video image. However, these cameras may be able to “see through” certain materials to produce a distinguishable image of objects on the other side of the material. The most common and affordable vehicle mounted infrared video camera is the near infrared camera. This camera contains a Charged Coupled Device or CCD that is the electronic sensor and imaging chip. The CCD has thousands of sensors that, when exposed to light energy (photons), can produce an electrical charge. This charge can be interpreted to produce a high quality, high resolution, color video image. Thanks to modern technological advances, CCDs can be created that are extremely sensitive to incredibly low levels of visible light. 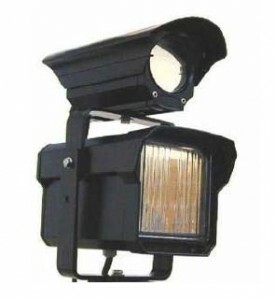 These cameras are often called day/night vision security cameras, but are not IR cameras. However, another beneficial factor of the CCD is that it is inherently sensitive to near infrared radiation. This means that a vehicle mounted infrared video camera using near infrared technology can produce a high quality, high resolution video image in total darkness with no existing visible light. Unlike the long/mid wavelength cameras mentioned above, these cameras must have their target area illuminated, but the illumination is of the near infrared type, which is invisible to the human eye. Near infrared night vision cameras accomplish this illumination by using IR Light Emitting Diodes or LEDs that are placed either around the camera lens or next to it. These LEDs produce IR light that cannot be seen by the human eye, but provide light for the camera’s CCD much like a spotlight or floodlight that produces visible light. Since the target area is illuminated, these cameras normally have a range of distance of which they can produce a high quality video image. This range is normally directly proportional to the number of the LEDs used to illuminate the target area. Since “color” is a characteristic of visible light but not IR light, these cameras produce a high quality, high resolution monochromatic or black and white video when operating in IR mode. Vehicle mounted infrared video cameras are normally outdoor type cameras that provide protection to the camera components from the weather and environmental elements. In addition, specialized mounts are available for these cameras so that they may be mounted directly to the vehicle’s exterior. These cameras can be purchased with pan, tilt, and zoom (PTZ) capabilities. They can be controlled manually or automatically by programmatic functions. The automatic type, along with motion detection, can provide automatic tracking capabilities. For example, a vehicle mounted infrared video camera with PTZ and tracking can follow suspected intruders or other moving objects. Vehicle mounted infrared video cameras offer the portability connected with a vehicle and the versatility for use in visible light as well as total darkness. 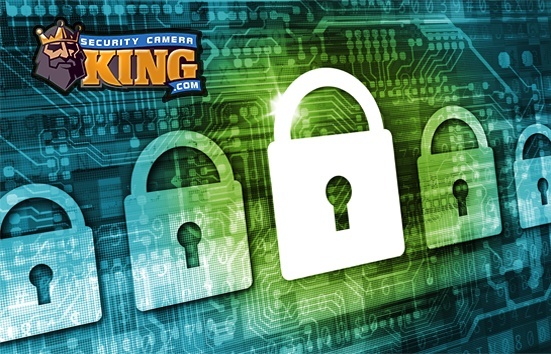 They can provide the necessary means for security and monitoring on around vehicles while being affordably priced.